The Good Life, 18 x 24 inches, acrylic on canvas. $499.00 for the original painting. 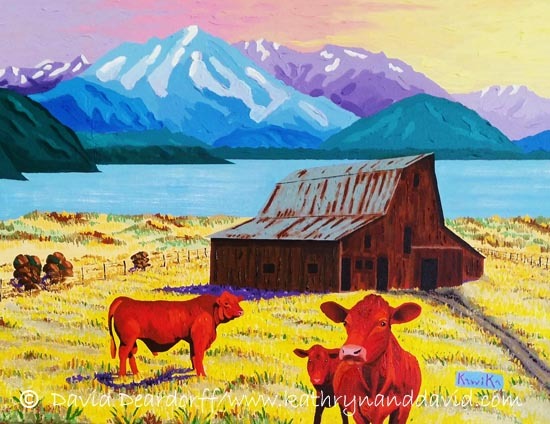 Bright red expressionist cattle graze peacefully against a backdrop of the Olympic Mountains in Washington State. We live on the Olympic Peninsula and are surrounded by mountains on all sides.